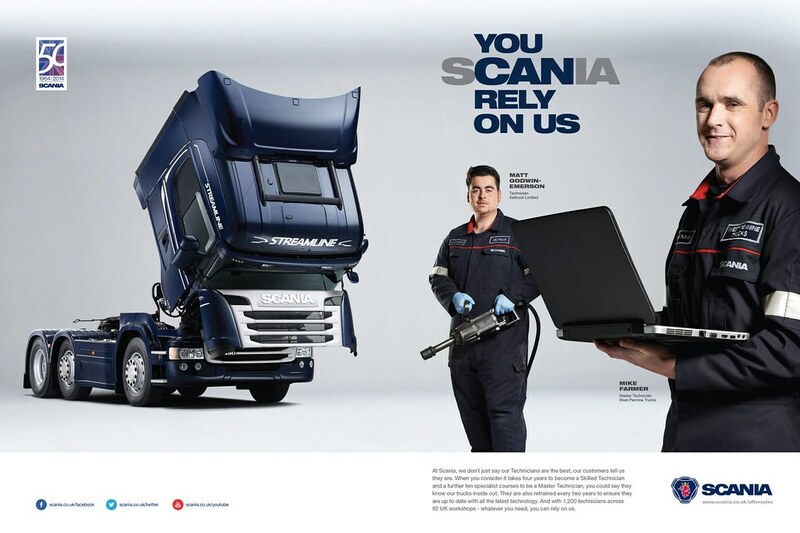 Scania has launched a bold new advertising and promotional campaign entitled, ‘You Can Rely On Us’. 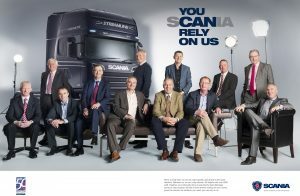 The programme focuses on Scania’s UK senior management team – the Scania (Great Britain) Limited Executive Team and the Independent Managing Directors – with each member of the group pledging their support to customers with a personal promise to deliver the best possible service at all times. 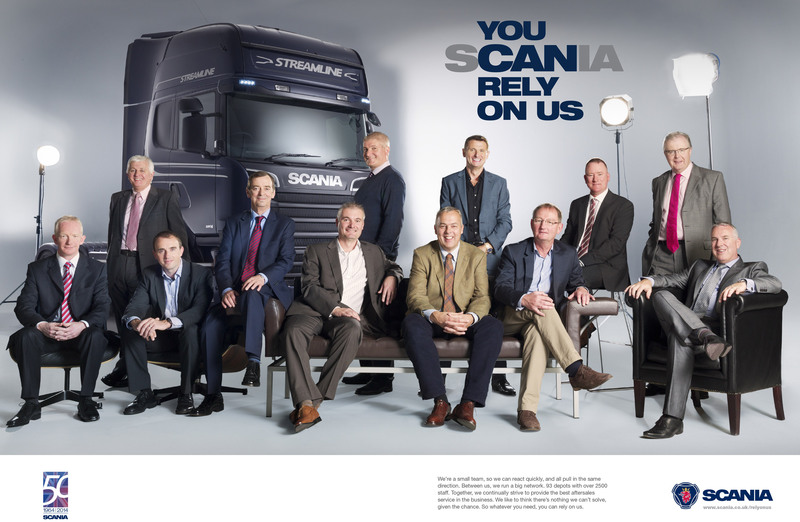 scaniarelyonus.co.uk marks a brave departure from conventional advertising by putting faces to the names, not only in the press adverts but also in a specially produced video which will feature on a dedicated internet micro-site. The campaign goes live week commencing 27 January, when the first advert will appear in Motor Transport magazine. Other publications on the schedule are Commercial Motor, Transport News (Scotland and the north of England) and Export & Freight (Northern Ireland). From today internet users can view the video and hear what the team has to say at keltruckscania.com/relyonus. The final link in the chain is social media, which will be used extensively to promote the campaign to the widest possible audience. 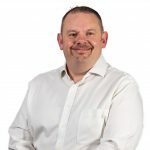 “In the same way that social media has a global reach, our ambition to deliver an outstanding customer experience knows no bounds either!” concludes Claes Jacobsson.